We show UFC Videos permanently. We have a playground and other facilities. 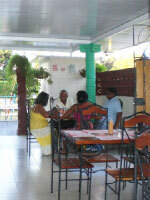 You will find affordable prices at this establishment located in the vicinity of the road to the East Havana beaches.